Karen Soroca is passionate about creating inspirational songs and dance music with her writing partner, Janet Marie, and this passion is lifelong; music and dance have always been an integral part of her life. Karen grew up hearing her father sing to Caruso and Sinatra records back in her hometown of Jericho, New York. It inspired her at an early age to write, direct and "star" in backyard musicals, raising money for charities. Later, she went on to Hofstra University, where she graduated with honors with a degree in vocal music. While there, she also studied composition, counterpoint and theory. An M.A. in choreography and dance was also earned from N.Y.U. In her career, this multi-talented artist has worked in Los Angeles, San Francisco and New York. She has been a singer/musical director, choreographer/dancer, actress, writer, and teacher. 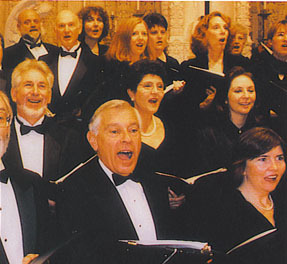 Soroca has sung professionally on commercials, television, film, recordings, on stage and with chamber groups and major choruses including the San Francisco Symphony Chorus and the Marin Symphony Chorus. She was founder and Co-artistic Director of the Grammy Award-winning Los Angeles Chamber Singers as well as the founder/musical director/soprano of VocalEyes, a Marin-based, accomplished a cappella jazz quartet. 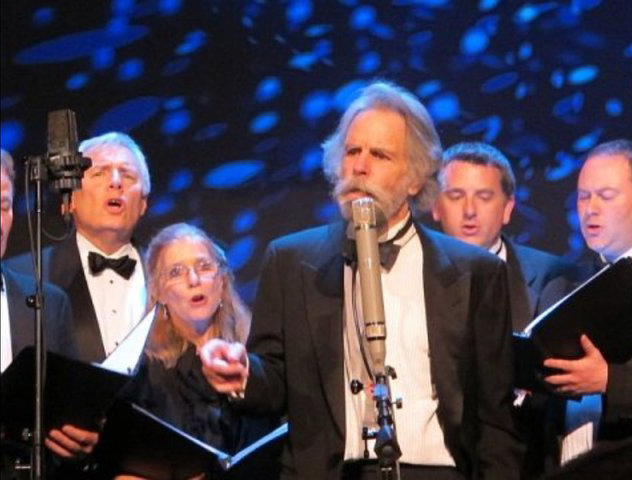 “I loved every moment of this concert," said Karen Soroca, singing to the left of Bob Weir at the Marin Symphony Fusion concert of all Grateful Dead music. 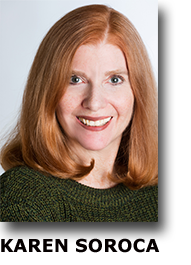 Her work has also brought her behind the scenes as a choreographer and a musical director for TV pilots, Off Broadway and for the nationally known vocal group, the Caroling Company. Soroca's credits as on/camera singer and musical director with the Caroling Company include the major motion pictures “Scrooged” and “The Addams Family”, as well as numerous network television appearances on “General Hospital”, “Good Morning America”, “The Bob Show”, and many more. Additional singing credits include the feature films “Spy Kids” and “High Crimes”. One of the highlights of Karen’s singing career was performing for the Sinatra clan and yes, Frank was there along with “The Velvet Fog”, Mel Tormé. 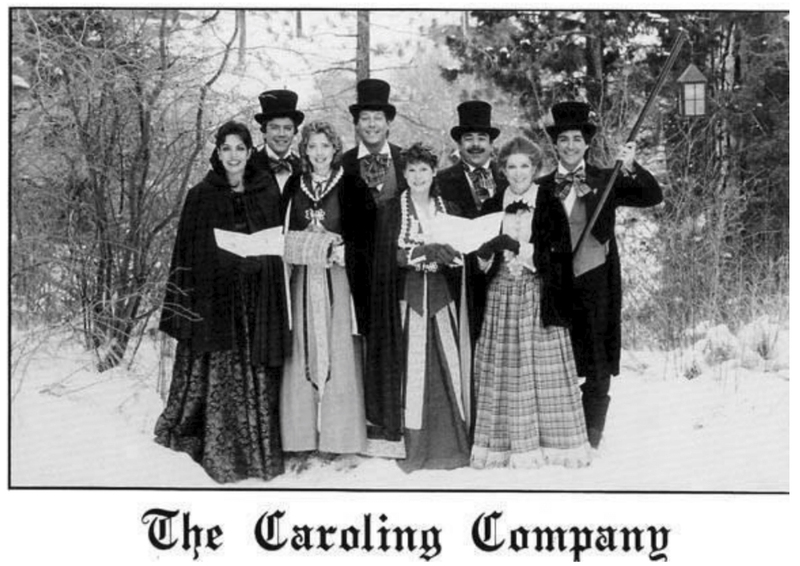 Karen Soroca, (2nd from the right) with the Caroling Company 1980. As a choreographer/dancer, Karen has numerous credits in film, television, stage and commercials, including the memorable hit series, “Fantasy Island”. 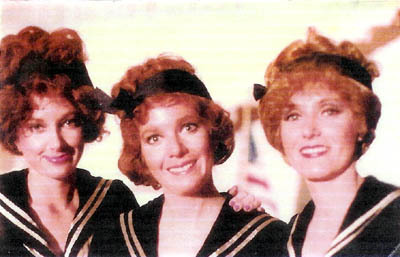 Karen Soroca (middle) with dance friend Rebecca Pollack Steinberg (left) on the set of "Fantasy Island", mid-1980s, wearing authentic costumes from the original "42nd Street" movie. Karen Soroca (center left) with dance friend Rebecca Pollack Steinberg (center right), tapping down the stairs on the "Fantasy Island" set. Currently represented by Look Talent Agency in San Francisco, Soroca is an active member of Women in Film, ASCAP, AEA and SAG-AFTRA. Karen lives with her mad scientist husband, Jim, and two cats, Kali and Dustin, in Marin County, California, where she also enjoys teaching yoga (E-RYT accredited) and singing.